Then it might look a little bit like...this. Which is to say: it would look fantastic. 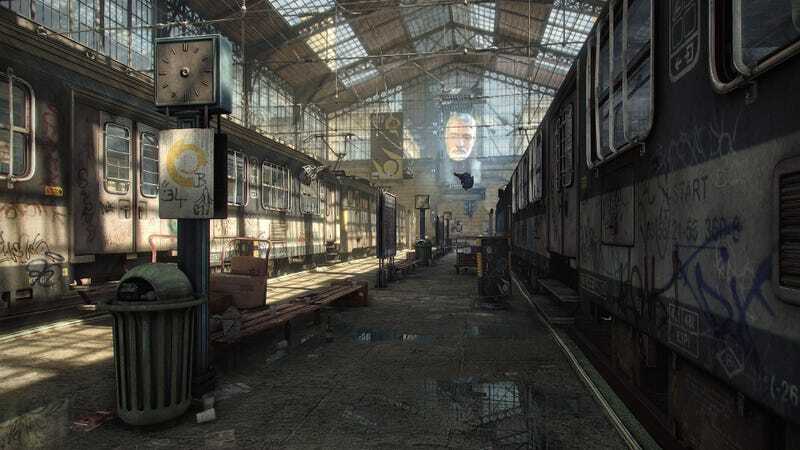 This recreation of City 17 (the opening train station, to be more exact) comes from Polycount user Logithx, and damn if it doesn't make you crave either a prettified remake of Half-Life 2, or, you know, Half-Life 3 itself. Thing is, these are only going to look better in the future—Logithx made these in UDK, and wants to make em in Unreal Engine 4, which will improve the way everything looks. Can't wait to see what the project looks like then!